All 10 of these models are fantastic, but there can only be one winner. Well, three, because I'm going to list the third and second place winners as well. 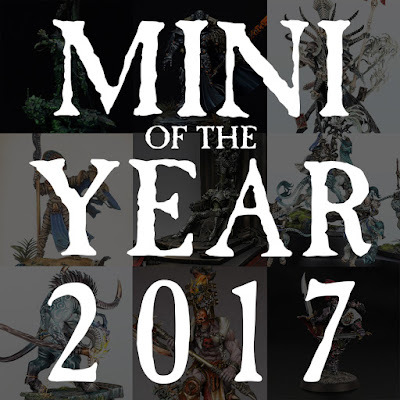 After tabulating the votes here are your runners up for Mini of the Year. 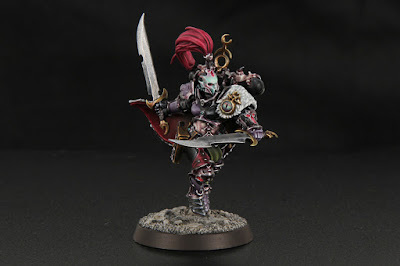 These are some truly fantastic models, and apparently you thought so as well! I really love how true to life the gold is and everything else on them is to an extremely high standard as well. I know these guys were going to be contender from the get go, and though they didn't take home the top award, they still held onto the podium with third place. The moment I saw this model I was blown away by it. Everything about it is amazing, from the concept, to the conversion, all the way through the meticulous paint job. 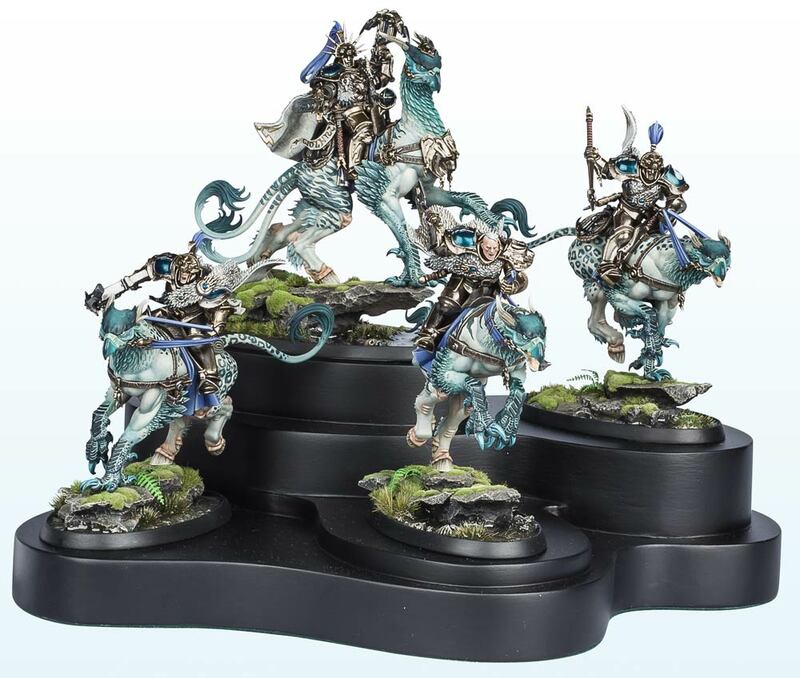 It was a close run though, only beating out the Stormcast Eternal Palladors by one vote for second place. Taking home the gold, there could be no other but the mind blowing Nagash diorama by Michal Pisarski. Taking second place in the Crystal Brush as well as the Slayer Sword in the Golden Demon Classics 2017, this model is a true powerhouse. From early on it had a commanding lead, and it hung onto that lead throughout the voting period. Everything about his model oozes character and story. 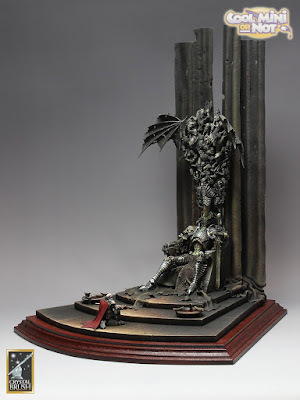 I have no doubt this will go down as one of the best Warhammer diorama pieces ever. Well, that's it for 2017! You have decided upon the best model from all of last year, and I have to agree, that Nagash is amazing. 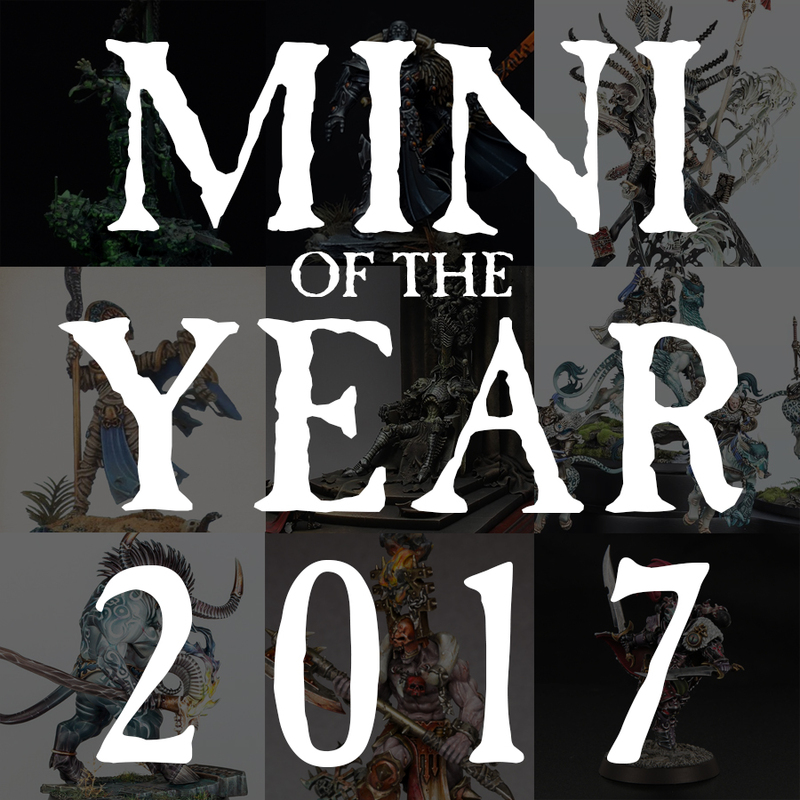 Now we have another full year of Minis of the Weeks ahead of us, so prepare yourself for more stunning models every Friday!